Description: Federal Express required engineering systems that would allow them to quickly and inexpensively reconfigure and/or expand work groups, workstations and office plans to accommodate rapid changes in personnel and work requirements. Cosentini accomplished this by specifying underfloor air systems that use raised-access floor panels with swirl type diffusers for air distribution to workspaces. The engineering design also includes a system of modular floor boxes for power and telecommunications/data that can accommodate space planning changes quickly and without excessive cost or disruption to operations. 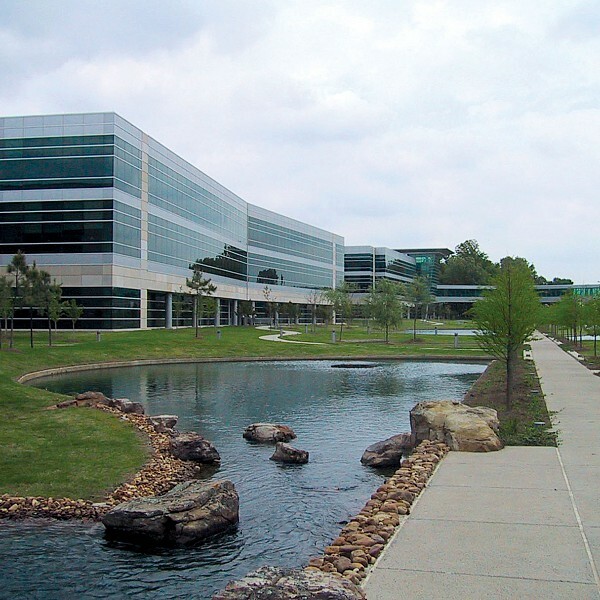 Program areas within this 1.1 million sf world headquarters include general and executive offices, a cafeteria, a service building, and a district cooling and heating system. 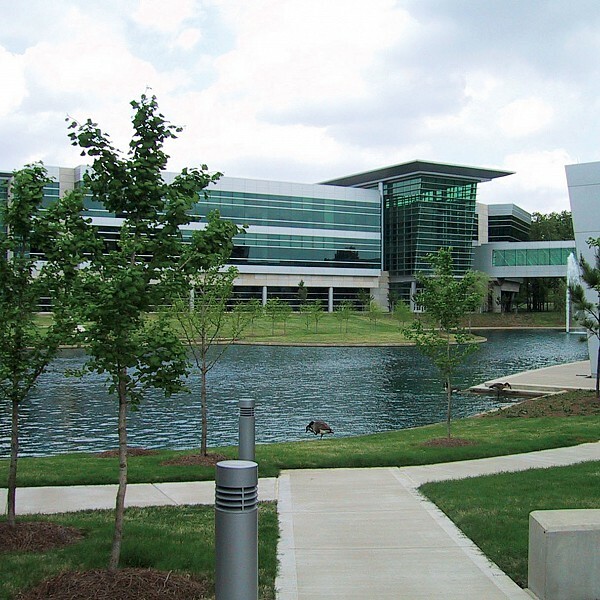 Federal Express’ culture promotes employee satisfaction with their workplace, and the company used the headquarters project to achieve some of those goals. The cooling and ventilation system is efficient and comfortable for the user, flexible to address employee issues, and environmentally superior to conventional overhead distribution systems. With Memphis’ climate extremes, the environmental treatment of the facade was critical to the project’s success. 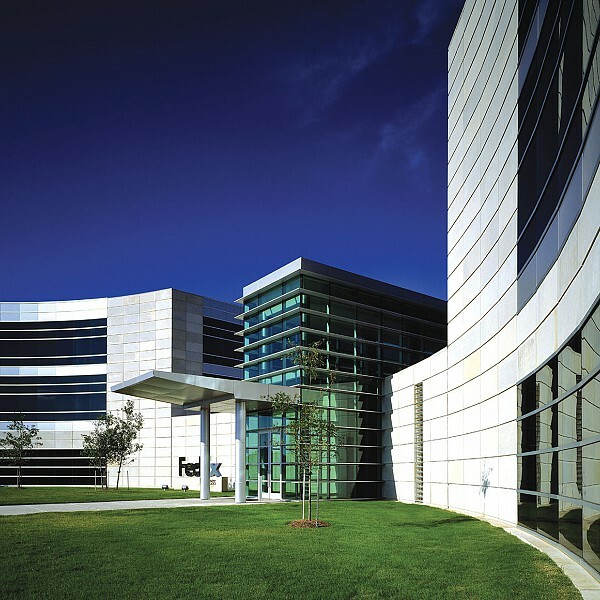 Twelve-foot-high angled or vertical glass lines the building perimeter, and FedEx stipulated that there not be enclosures or grilles below the glass. The ceiling height was set at 10 feet which is actually beneficial to underfloor cooling. The final layout achieved FedEx’s goals.